Once the capital of the state, Iowa City is both home to the University of Iowa and a livable city boasting a diverse cultural environment, attractive downtown, and historic campus buildings. True to college-town form, the area has the highest housing costs in the state and one of the highest levels of educational attainment in the country. The city is well-educated, progressive, active, and has a strong community feel. An assortment of shops, restaurants, and entertainment venues in a lively downtown and Iowa River riverfront setting anchored by a large pedestrian mall. The economic base, aside from the university, is a mix of agricultural, light manufacturing, high tech and biotech businesses. Good older tree-lined city neighborhoods lie mostly east and south of downtown, with more suburban environments lying northeast and west towards the small town of Coralville. Large retail developments are confined mainly to the I-80 corridor and growth and sprawl issues are modest. A scenic mix of flat river valleys and wooded undulating hills dominate the landscape. The climate is continental. Summers are warm and humid, punctuated by frequent thunderstorms, although nearby hills may lessen the severity. Winters are cold and variable, although the hills again shelter the area from some northern fronts. That said, below-zero evening temperatures are fairly common, and blizzards do occur. First freeze is mid-October, last is late April. 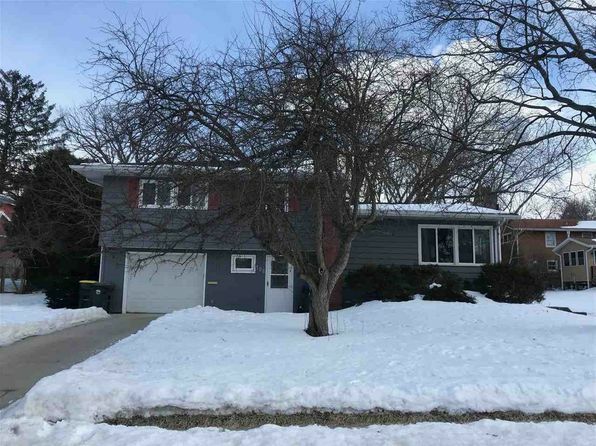 The median home price in Iowa City is $229,800. Browse Homes in this Range. 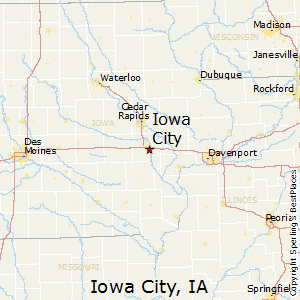 Compare Iowa City, Iowa to any other place in the USA.